Fully customizable & editable, professional, creative and modern 1, 2, 3 page resume template / CV template with matching cover letter and references template. Letter size and A4, digital instant download, fully compatible with MS Office Word for Windows and Mac. Making you stand out from the crowd. – Used by thousands of students, interns, graduates and professionals. 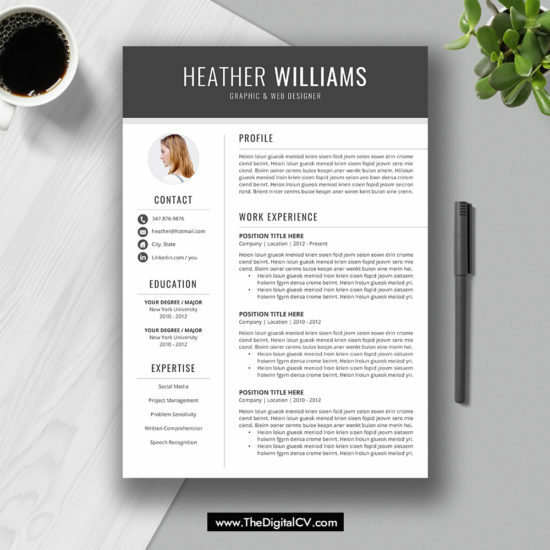 – Designed and tested by senior resume / graphic designers and HRD consultants. ★★★★★ This resume is tech-dumb proof and can be used truly by everyone! Very happy with the result and mostly the good customer service (the instructions document is simple, clear and well written). I would recommend to everyone who wants to revamp their resume. 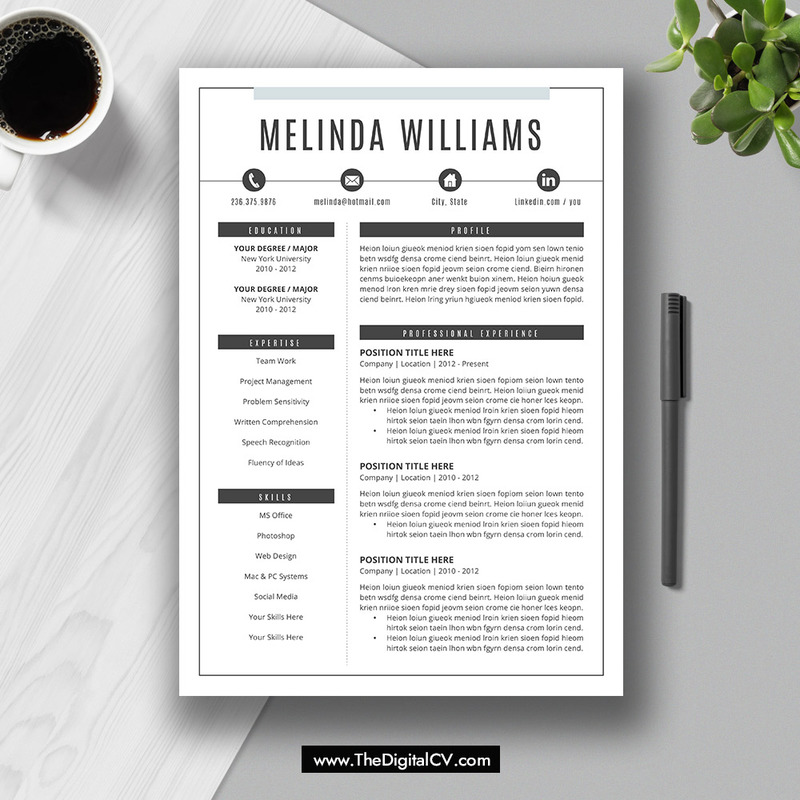 ★★★★★ —– This resume is tech-dumb proof and can be used truly by everyone! Very happy with the result and mostly the good customer service (the instructions document is simple, clear and well written). I would recommend to everyone who wants to revamp their resume. ★★★★★ —– Great resume templates! Professional and elegant! Easy to personalize, and the instructions are very easy to follow. Hignly recommend! ★★★★★ —– FANTASTIC! Just what I was looking for to make my resume stand out. It’s beautiful, professional, and was easy to modify for my field. Thank you! 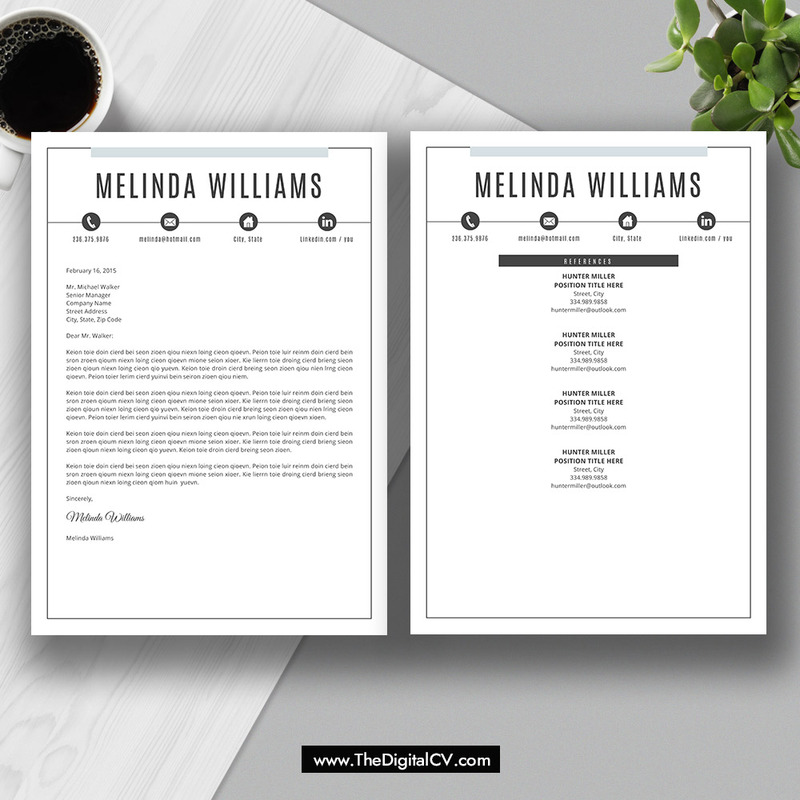 ★★★★★ —– Nice and sleek and super easy to edit, more so than other resume templates I’ve used in the past. ★★★★★ —– AWESOME product with equally as awesome support. Above and beyond. Such value for money. ★★★★★ —– Has allowed me to express myself and my experience in an entirely new way, and sets me apart. Thank you for this! ★★★★★ —– Awesome template, very easy to customize, easy to follow instructions. Love it! ★★★★★ —– Great template. Was easy to move a few things around and I think it made a good impression on my hiring manager. ★★★★★ —– Really nice template, and Julia was really helpful in changing the paper format for me! ★★★★★ —– Great! Just as described. Easy to edit. ★★★★★ —– Great deal! Nice templates. ★★★★★ —– Gorgeous layout, I’m already getting compliments! ★★★★★ —– Thank you! This works great. ★★★★★ —– Very easy to use and looks great! Thank you! ★★★★★ —– Very professional & elegant template! Thank you so much! ★★★★★ —– Terrific! It raised eyebrows in a good way! ★★★★★ —– Easy to use and professional! ★★★★★ —– Just as described and very easy to customize, great design! ★★★★★ —– Great layout, very easy to edit. Love this template! 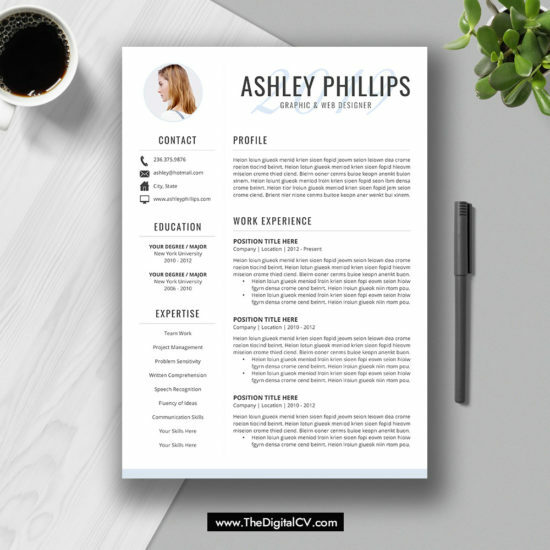 ★★★★★ —– This is a great resume and I am so happy with this template. ★★★★★ —– great template! easy to customize and well laid out. – Purchase the desired templates. – Install the fonts before editing. – Restart your Mac when using Mac. – Edit and customize the templates. – Save the template and export to PDF. – Email the template or print on any printer. – Microsoft Office Word (2012 or newer) is required to view and edit these templates. – Please contact us with any questions or comments. – We will be very happy to help you and typically respond within 24 hours. – All designs are copyright and original to www.TheDigitalCV.com.